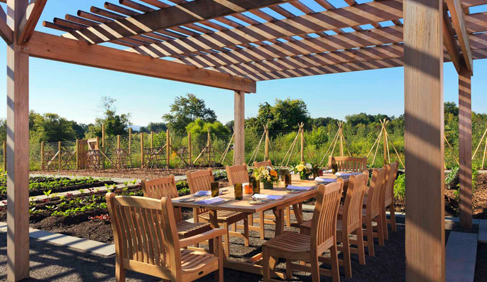 Salamander Resort & Spa offers the refined sophistication of a luxurious country estate in Virginia's exclusive horse and wine country, just 40 miles from Washington, D.C. 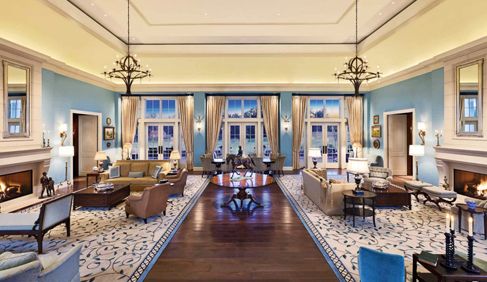 This luxury Virginia getaway brings together today’s sought after key elements of time-saving accessibility, authenticity of cultural and historical experiences, unique culinary and wine programming, and an innovative spa and wellness concept. 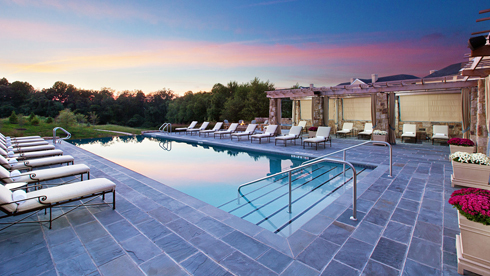 Just 35 minutes from Dulles Airport, the 340-acre resort is located within the historic village of Middleburg, VA, which houses more than 100 unique shops, restaurants, surrounding wineries, equestrian fields and provides the backdrop for one-of-a-kind leisure and group stays as well as spectacular wedding and social events. 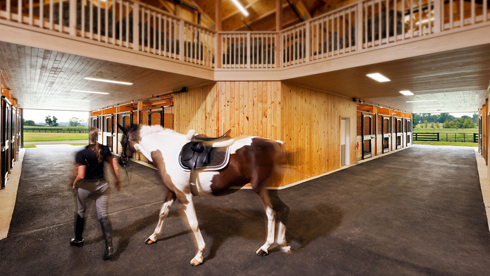 This unique equestrian themed resort near Washington, D.C. has 25 on-site acres dedicated to their equestrian program including a stunning 14,000-square-foot stable featuring 22 stalls, nine beautiful paddocks, and a spectacular 240x120' riding arena with ThorTurf footing. Riders staying at this hotel can participate in its Equestrian Programs specially designed for each riding level or take a leisurely ride through the scenic Virginia countryside. 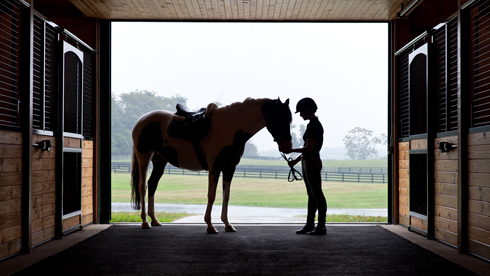 Guests of the resort can board their horse(s) overnight in its luxurious on-property stable. Enjoy luxurious deluxe resort accommodations and a full Hunt Country breakfast in either the relaxed setting of your room or in the resort’s restaurant, Harrimans. Your horse will be ready to ride at time requested for a full day of searching for foxes or simply enjoying the surrounding acreage. *Bookings required 10 days in advance. Please call 800-651-0721 to make your reservation. For more information, email Salamander Resort or visit Salamander Resort & Spa’s website. Each luxurious accommodation extends a level of comfort and style found only in the countryside's finest Virginia estates. 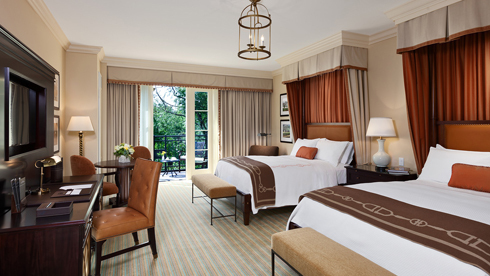 Nearly double the size of a standard hotel room, the luxurious, 545- to 575-square-foot deluxe rooms at this Middleburg luxury hotel offer uncompromising residential quality furnishings, and privacy in a sophisticated resort setting. All deluxe rooms have either an expansive walkout terrace or stone balcony, ideal for a country breakfast, evening cocktail or just relaxing. 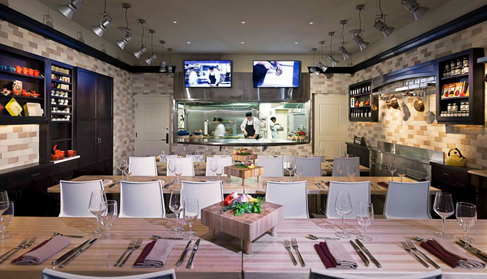 Salamander Resort & Spa offers the finest in locally sourced cuisine, whether you’re having afternoon tea and evening cocktails in the Living Room, or pairing a fine wine with one of Todd’s innovative small plates of Piedmont cuisine. As part of our commitment to sustainable environmental practices, the resort employs farm-to-table sourcing, maintains a chef’s garden and ensures that the majority of food products are sustainably, organically and locally produced. With the culturally rich region of Virginia and Washington D.C. at guests’ fingertips, crafting a selection of unique, inspired activities is easy. Choosing just one might be hard. The unmistakable sense of place in Middleburg, Virginia enriches every activity we offer and every memory you take away. 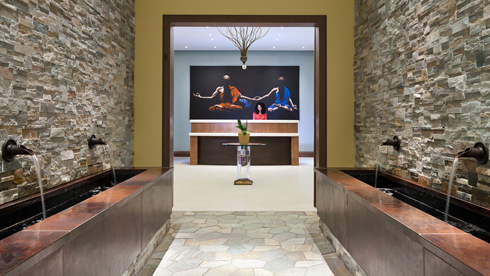 Salamander Resort experiences appeal to multiple generations. From viniculture emersion and historical sightseeing to roaming the countryside on horseback your opportunity to explore will be unlimited. 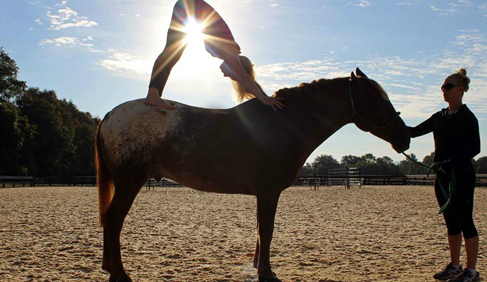 Equestrians may enjoy trail rides, lessons, yoga on horseback, Equi-Spective, Human-Horse Synergy Rides, Carriage Rides, and training in a variety of disciplines. Educational opportunities with local professional competitors and trainers are offered throughout the year. Learn more. 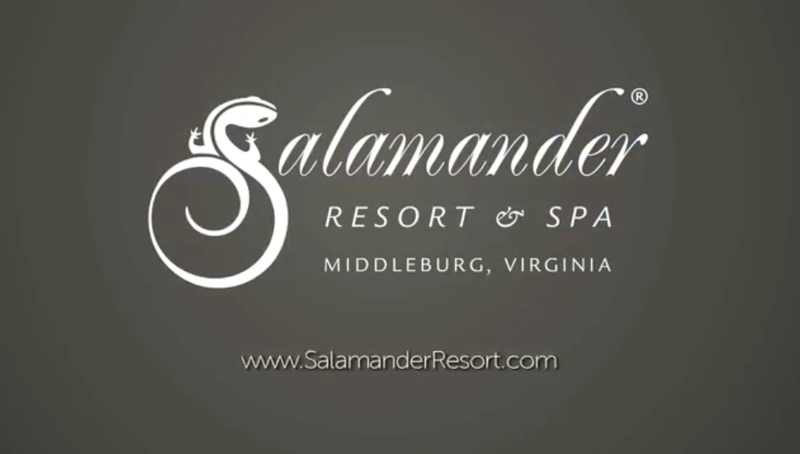 Salamander Resort & Spa is the perfect basecamp for a Virginia vacation! Sports fans love to visit the National Sporting Library and Museum where they can explore different exhibits, take in a lecture, or speak to a visiting historian. Nature enthusiasts can stroll through Morven Park or Great Meadow which is home to equestrian and field events, including Twilight Polo, Twilight Jumpers and steeplechase. The drive to Boxwood Winery makes it an adventure in itself, making it the perfect outing for both wine and nature lovers. This area is rich in activities and events suitable to every traveler’s interests. Salamander Resort & Spa brings elegant luxury as a premier equestrian resort in the Virginia wine country, just 40 miles from Washington, D.C.